The Power Decal is one of those inventions you just know will succeed if marketed and licensed properly. A Peel off sticker that lights up from a solar power source. 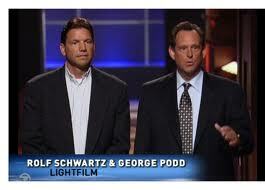 George Podd and Rolf Schwartz went into the Shark Tank very confident with their product they called Light Film that's since been renamed and re-branded as Power Decal. The Power Decal has a motion sensor built into the light-up decal brightly displaying the sticker. George Podd and Rolf Schwartz were asking $100k for a 5% stake in their patented Power Decals putting the valuation at $2 million. They demonstrated a generation 1 Power Decal hooked up to a wired power source (battery) to light up the peel and stick sticker. They quickly pointed out the generation 2 Power Decals would be wireless and solar powered which got a lot more interest from the Sharks. Podd, the inventor of the Power Decal, had zero in sales and has already sunk $750k into this invention. They can make the generation 2 Power Decals for $5 or less and retails for $19.99 which is a decent profit margin. Everything is ready to go, and all they need is the licensing deals to make the Power Decal a huge success. The $100k they're asking for will be put towards a few licensing deals with the understanding a much larger round of funding will still be needed in the future. Kevin Harrington puts the amount of funding they need to raise closer to a million dollars and goes out. Kevin O'Leary comment's "this product screams for a strategic partner that has distribution" which Robert Herjevic quickly agrees. O'Leary ad's "I could give you a million dollars, and it still wouldn't be enough." The Power Decal is at a crossroads, and a distribution partner is what's needed to make this product a success. Neither O'Leary or Herjevic have those connections, and they both go out. Barbara Corcoran gets right to the point and slams the decals. She says "not only am I the wrong partner, but I'm also the wrong customer." This leaves Daymond John as the last Shark standing. There is no question the Power Decals is a good idea, and the possibilities are endless licensed and distributed on a major scale. +Daymond John confidently knows he's the only Shark having the connections and experience to make this a successful deal for all parties involved. John's offer is one of the more complex proposals ever seen on the Shark Tank Show as he lays down the details. Daymond first starts out by saying he's not interested in the generation 1 Power decals with the wire's, he's only interested in the wirelessly powered decals. Daymond says he'll manufacture and ship the products on all large scale wholesale orders and give them unlimited financing. This offer completely steps up the company's growth projections and eliminates the first round and immediately into the second round. For this, Daymond John wants 75% of the Power Decal Business. George looks a little bewildered by how fast John just laid out the details to his offer when it goes to a commercial. Daymond says they'll never have to look for another investor because he will finance the business going forward. This alone has tremendous value all by itself, but 75% of the company? Realizing they're also under contract with ABC for 5% of the business for being featured on the Shark Tank, Podd asks if they can counter John's offer. George Podd ups the ante saying they'd like to recoup their initial investment of $750k and have money to live on. It appears they may have sunk a little too much into the Power Decal Business, but it might not have been the best card to play at the time. John immediately picks up on this as Podd counters with 51%. He almost looks stunned, but the knockout was yet to come. George then says the 51% is not for the $100k they came in asking for, but for $750k so they can recoup their entire investment. If I didn't know any better, Daymond just bit down on a sour piece of candy with a look of pure amazement. If this had been a questionable product, the answer would have been an easy one at that point, but John already could see tremendous possibilities if he could control the company. Kevin Harrington steps in to add a creative solution to bring this deal together. How about 51% of the business with an accelerated share of the profits until the $750k initial investment was recovered? Great idea, Daymond likes it. Herjevic wants to know how much money it'll take to buy a 51% controlling interest in the business right now. Schwartz still wants all of the $750k for a controlling interest. 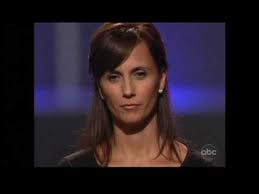 Herjevic asks them to step out of the Shark Tank while he tries to make a deal with John. Robert's convinced they can get 75% for only $100k and give them an accelerated amount on the future profit's until they recoup the $750k already invested in the power decals. Daymond Johns new deal with Herjevic is $100k for 70% of the business (what just happened to the other 5%? oops, too late) and Podd & Schwartz would receive 75% of the profit's until the $750k was paid back. Podd still asks for more money upfront, but Daymond refuses to budge any further. They finally accept the deal. True to his word, Daymond John got busy making some very impressive licensing deals. His most notable one so far was getting the Power Decals into Best Buy. A few other larger big brands now caring the Power decals are in Ace Hardware, Pilot Flying J and Dicks Sporting Goods to name a few. The Power Decal is such a unique product they've had no problems making licensing deals with all of the Major Sports Teams. 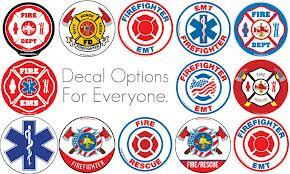 You can now get your Power Decal's representing all NFL, MLB, NBA, NHL Team and Nascar Teams. College Sports power decals are also available for dozens of colleges. In fact, the line of different markets the Power Decal now covers is already very impressive. Light up Flags, signs and even one for each Branch of the Military. Now THAT would make a Cool Power Decal! If either George or Rolf read this, and you're looking for more ideas to expand on your impressive line, here's a thought. 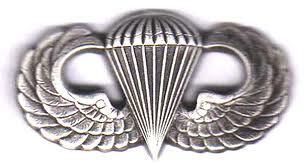 Anyone that's been in the Military usually is very proud of that fact and would love a power decal sticker. Below is an excellent short video that explains how easy it is to install the Power Decal. It should also be mentioned the new design allows you to easily change decals using the same window sticker. 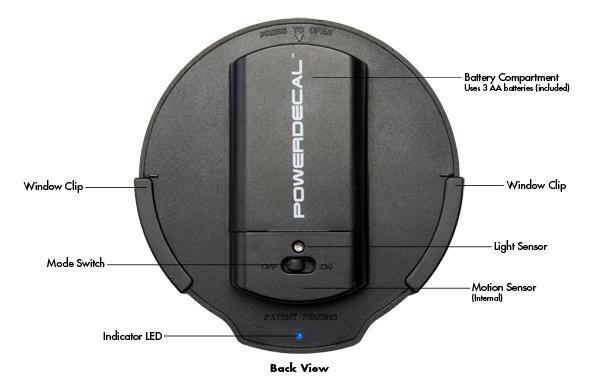 Each Power Decal sticker is only $24.95 which includes 3 AA Alkaline Batteries. You simply peel and stick the Power Decal wherever you want it. I like that idea of more military decals. A good way to connect with an old Brother. We were just sitting here discussing the Power Decals and thought it sure would be kinda neat to have a larger one that displayed advertising for local businesses. Big enough to see the phone number/ website but small enough not to be too much of a distraction. My Son actually brought up that point when how many decals or how big would be considered too much? I was actually just at a Rock N Roll race this weekend where they sold these things, very awesome. I bought one. The price is reasonable, they had a good amount of teams as well. Posted on facebook and most of my friends liked it too. Might pick up a second one, the decals show up sooooo well. That's totally cool! And the idea of more military decals is indeed amazing! Well do not make an order online from the company, it will take forever to get to you. Buy it at a store. I placed my order from Power Decals web on 12/5/2014. On 12/10/2014 I received and email that the Item had been shipped out/ with tracking #. On 12/15/2014 the usps tracking system does not show the item shipped. I contacted the company and was told that the Item will be shipped on Wednesday 12/17/2014. This Item has not been shipped out yet. I do not know when they will ship it out, if it is good and I like it, I plan to buy the rest from a retailer. What a disappointment. I bet the item is great. I order the item the day after I saw it on Shark Tank. I can imagine they are swamped with retail orders but you have to take care of the little guys to. 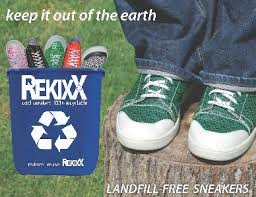 I want to see the product before I purchase bulk. My story is almost identical to yours, except my emails have not been answered and phone messages left not returned (or the mailbox is full). I am very disappointed, and now have to scramble for Christmas presents for two very important people. If the company would at least reply, I would not bee so upset. Same story here. Placed two orders. The first was for three items - I never received. Tried to call Powerdecal - every option you select directs you to a message which says the mailbox is full. Strange. I e-mailed them about 2 weeks after I placed the order - got a reply saying my items would ship out in a few days. If I had not emailed them I probably would not have received my items. I did finally get the items and they work great. I placed another order (people saw mine and loved it) for two more items. Only one arrived. Just tried calling again and mailboxes are full (still??) Just sent an email to see what happened to my other item. Good product but horrible customer support. I got a couple late in the summer and got them right away. They work very well. However, I order 2 more on 11/30 and got an email from them that they were shipped on 12/10. I HAVE NEVER RECEIVED THEM. The tracking number was a pre-shipped one. The USPS told me it has not yet been shipped by Power Decal yet. I have left 2 messages on their voice mail and emailed them a few times - no one has responded. If you go to their Facebook page, I'm not the only one having issues with them. Something very fishy is going on. Not legal in all states. I had a similar one in my car and got pulled over by the cops for it. Luckily they let me go if I took it off! What state was it illegal? I love the product, but need replacement clips. Ordered 2 sets on 10/14/16 and still have not received them (12/20/16). I get responses from email inquiries to be told it will be shipped by a certain date and still don't have. Very disappointed in the customer support! At this point not only should I get the clips free, I should get a full refund for the decal too! 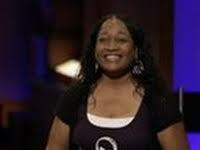 Not what you would expect from a Shark Tank financed product!! At this point would NEVER recommend to anyone!!!! Bought two Power Decals as gifts from the company website. Both products worked fine, but the clips were the problem. All of the clips to support the light (two clips per light) were deformed to a greater or lesser extent. Each clip should have had a 100% perfectly level surface. This wasn't the case. Each clip had a corner of the adhesive bent or squished. Considering they arrived in a hard box, this wasn't an issue with shipping. Considering how both boxes weren't sealed (not the shipping box, the product box) I feel as if these were returns that were sold to me as if they were new. Or maybe it was a problem from production. I really felt as if these clips were defects, but instead of throwing them out, the people on the product line thought "Eh, it's good enough." Maybe it was an isolated incident, an isolated incident with all four clips. Daymond really needs to keep an eye on this. With all the money invested, imperfections like this shouldn't be happening.